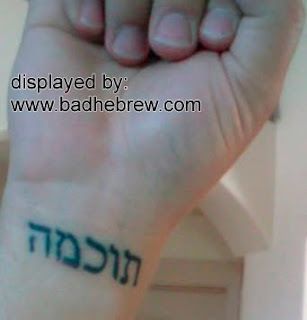 See, according to the victim, this Hebrew tattoo is supposed to have some Gematria meaning. 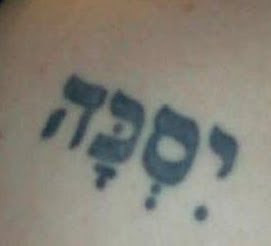 Gematria is the Jewish practice of converting Hebrew letters into numbers and then looking for some special meanings based on that value. 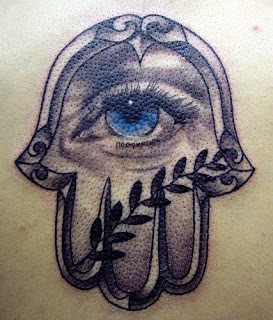 This practice is of course completely bogus - you can pick and choose your results to suit your agenda, but it looks impressive enough to con the ignorant. For example, it might lead you to believe that Sarah Palin is the devil's disciple. 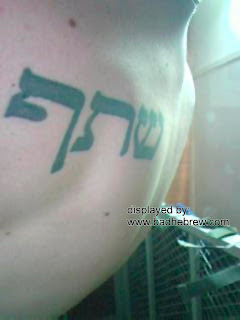 Back on topic, today's Hebrew tattoo is simply composed of random letters, and does not mean anything. 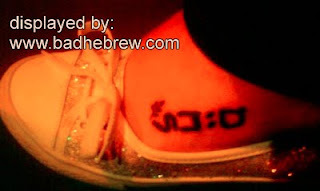 Sure, it might convert to some number in Gematria, but who cares? 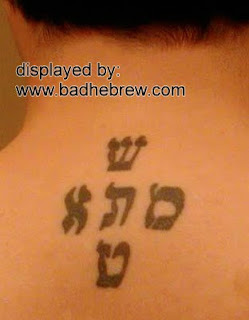 In the Hebrew language this tattoo is just a pile of gibberish. 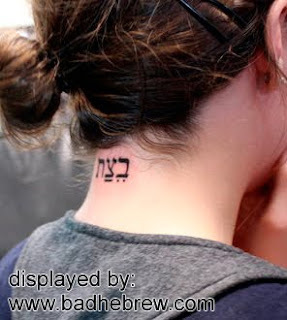 Unfortunately, and quite ironically, this "Wisdom" tattoo is misspelled. 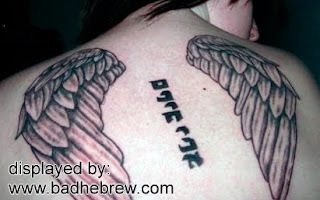 In Hebrew wisdom is "Chokhma", but this guy spelled it as "Tokhma" instead. 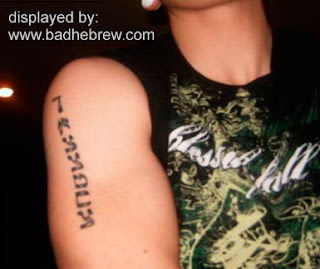 I'd say this is a rather stupid mistake. The letters Tav and Het look a bit similar, but they're not the same, and definitely not interchangeable! Maybe our wise guy is simply in need of a new pair of reading glasses?